This is Licensed Raggedy Ann and Andy, beautiful, new, 100% cotton fabric. Sold by the yard. More than one yard purchased will be shipped as one continuous piece. Brand new off the bolt. 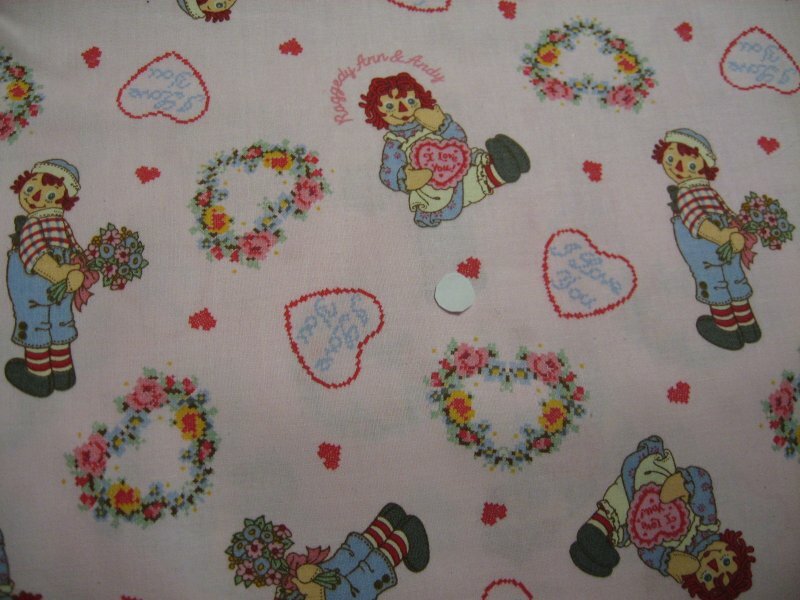 This beautiful new, pink, 100% cotton fabric depicts Raggedy Ann and Andy, with hearts and Flowers. Andy is about 2 1/2" tall, and Raggedy Ann sitting is about 2" tall. More than one yard purchased, will be shipped as one continuous piece.